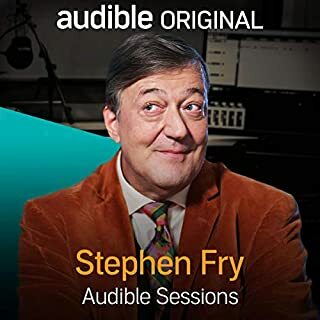 Stephen as always is brilliant and so lovely to listen to. He makes you realise the intricacies of the things he reads. Jennifer Saunders did a brilliant job but the storyline was so obvious it detracted a bit from my enjoyment. 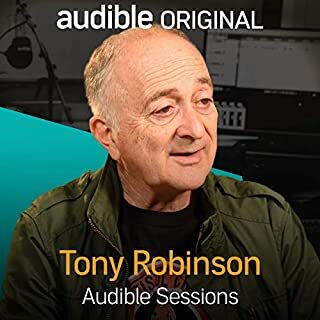 The much-loved actor, presenter and author, Tony Robinson, joins Gabriel Fleming in the Audible Studios to discuss his autobiography, No Cunning Plan. Sir Tony Robinson is most famous for playing the role of Baldrick in Blackadder and presenting the Channel 4 show, Time Team, for 20 years. However, he began his career at the age of 13 in the original stage version of Oliver! As always Tony is easy to listen to and his enthusiasm shines through. Worth listening to. The narrator was very good bringing all the characters to life. The story was easy to listen too and gripping up to the end. 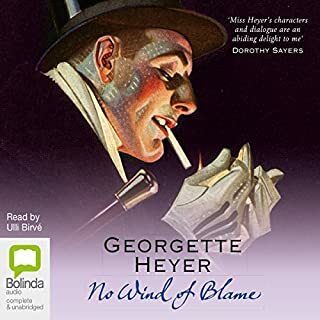 This has always been one of my favourite books by Georgette Heyer. I don't know why. 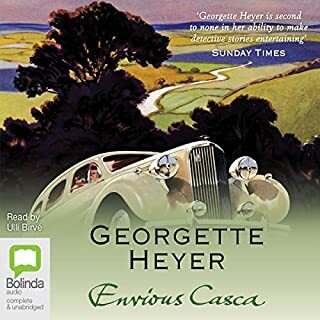 It is a gentle calming story and one that draws me back again and again. Jefferson Tayte is good at finding people who don't want to be found. 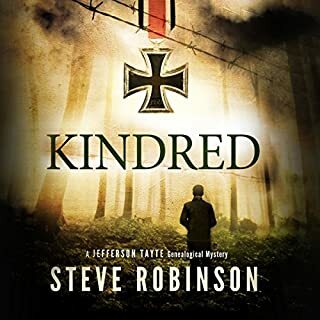 For years he has followed faint genealogical trails to reunite families - and uncover long-hidden secrets. But Tayte is a loner, a man with no ties of his own; his true identity is the most elusive case of his career. But that could all be about to change. Now Tayte has in his possession the beginnings of a new trail - clues his late mentor had started to gather - that might at last lead to his own family. The narrator really brought the characters to life. I could see them quite clearly as I listened. The story was intriguing and I wanted to keep on listening to the next chapter. 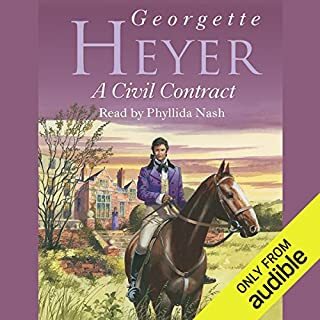 I had worked out the twist by chapter 30 but it didn't stop me wanting to continue listening. I really enjoyed this book. I love Miss Reads books and this is no exception. 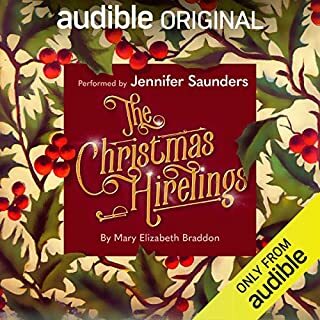 A gentle easy listen and well read. 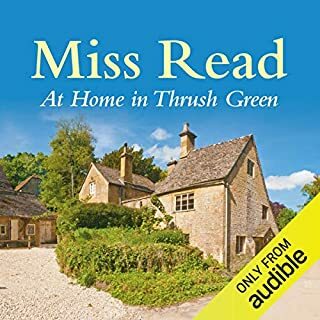 Charles Henstock, vicar of Thrush Green, is living in his new vicarage after the old one burned down. In its place are eight retirement homes, but there’s heated debate in the village about the new residents. How to choose who will live there? How will they get on together? And how will they accommodate all the pets? Meanwhile the old residents have their worries. A very relaxing easy listen. 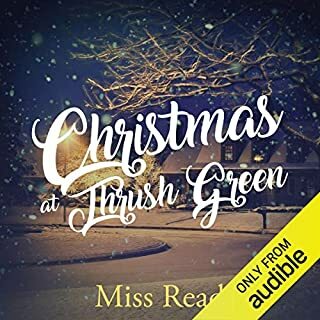 It was as good as the other Thrush Green novels. It's not to every ones taste but I loved it. A relaxing and gentle book. Like golfing, fishing, and gardening, knitting is an obsession. It's an activity fraught with guilt, frustration, over-optimism, sly deception, and compulsion, along with passionate moments of creative enlightenment - not to mention heaps of yarn you really think you'll knit someday. The first step toward recovery is getting help - and having a good laugh at your compulsion. 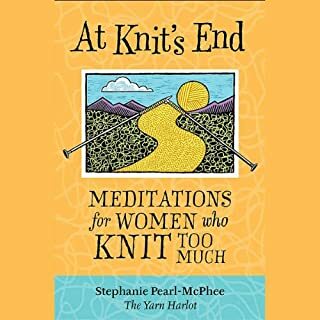 At Knit's End is a wicked and wickedly funny fix for any knitter. I loved this book. it's premise is wonderful. So very funny and so very true to life. I recognised myself in many instances.